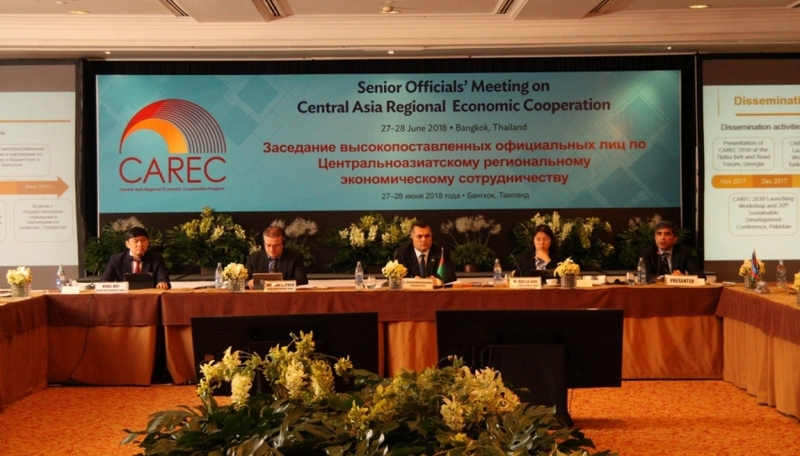 The Senior Officials’ Meeting (SOM) is the operational-level mechanism of CAREC. It monitors progress at the cluster and sector levels, and is vested with the authority to consider and endorse complex multi-country and multisector projects. The SOM also serves as a mechanism to ensure the effective implementation of the policy and strategic decisions made by the Ministerial Conference. The SOM is convened once a year to prepare for the annual CAREC Ministerial Conference . Given the scope and nature of the responsibilities of the SOM, it is made up of senior-level officials from the relevant agency in charge of overall planning or finance. It is preferable for officials to serve on a permanent basis to ensure continuity in approach. CAREC development partners also participate in the SOM. Observers may be invited, subject to agreement by the participants.